Assuming that I am the smartest and IT-literate person in the house always getting the best prices for accommodation, I am always in charge with the reservation for the next stay. Sometimes I use booking.com system that offers comparative views in terms of price and conditions, sometimes I follow various online or offline recommendations. From time to time, except the good price, there it is not too much to say positively about my choices. For instance, two years ago, I booked an amazing hotel - according to the web descriptions - in Corsica. One hour of taxi ride from the Bastia airport later, we found ourselves in the middle of nowhere with nice goats and some lezards and the view of the sea 20 km. of mountain hike away. No restaurant to spend our nice evening and nothing to do except to look at the sky and listen to the bells (not my cup of morning tea). Back in France, this time alone, I did another brave reservations of mine. 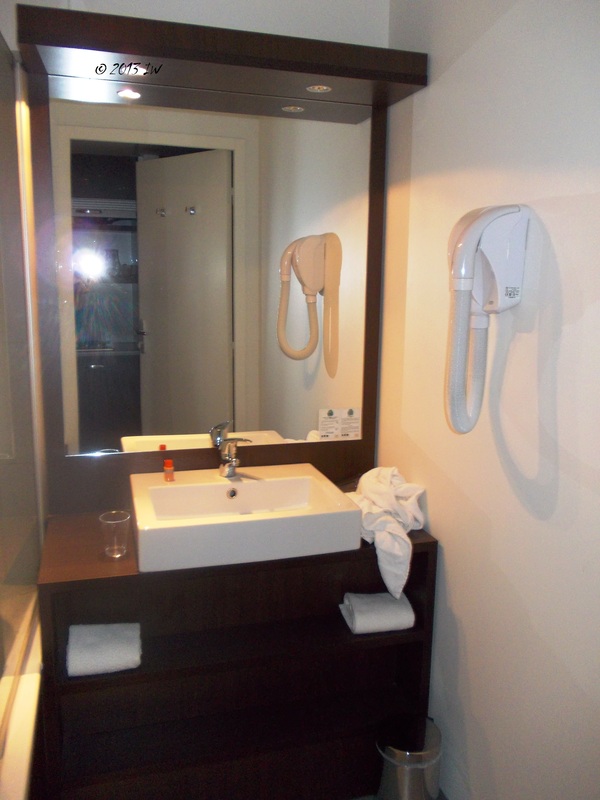 On booking.com I've found the tempting: Quality Hotel & Suites Nantes Atlantique. Most probably attracted by the pleasant resonance of the name 'Atlantique' I continued with the process and booked a room for 2 nights, for around 90 Euro. I am not sure right now where I saw the description according to which the hotel is 'around 10 minutes away from the center' and insisted that this is the truth, even after I was told by 3-4 local people in the sweet French language I grew up with that it is not and most probably it is out of town if the street where the hotel is located did exist though. When you at the end of over 20 hours of non-stop travel and outside is raining cats and dogs it is the last thing you want to hear. Over a glass of red wine and a galette, trying to do not fell asleep automatically, I was thinking that either I better find a nice hotel in the center and enjoy the pleasures - and take the risk of paying some extra for the bad first choice of hotel - or I assume the risk of my stupid decision and go finding the hotel. At the end of the meal, I had enough energy to go on the second bet. A busy taxi driver mentioned a tram station where I should go before changing for a bus and continuing by foot. I took that tram, but at the Gare de Nantes station I decided that I better take a cab. End of the problems: the cab drove me in exchange of 25 Euro to the hotel. In the morning light, I've found out that it is not such a big pain to arrive to the hotel, unless you are not very tired and not afraid to walk in the dark in a semi-industrial area, with no soul around for a couple of minutes. There are some fast foods and even a Leon restaurant close to it. By tram, it takes around 15-20 minutes to go to the center and there it is not that kind of hotel you will like to stay for a Romantic vacation. When I arrived at the hotel, closely to midnight and a bit nervous, I was welcomed by someone smiling at the reception desk and thus, all my unhappiness - no one by me was guilty for such a choice, of course - went away. I was offered the electronic key to my apartment and wished 'good night'. The next day, there were two persons at the reception, all smiling that guided me to the right way to the tram station. I needed to trust the words of my guide, as there were no maps or tourist materials at the entrance. The payment is done at the end of the stay. Those interested in having breakfast, will need to pay an extra 10 Euro. I was not interested and thus did not check the dinning room. There it is a city local tax of 0.85 Euro paid at any hotel in France that it is added to the original price. The lobby was looking busy, with group tourists being hosted here, or other French tourists arriving by car or some Eastern European families. The room cleaning is not done daily, unless you want to pay some extra for this too, but there it is a special room dedicated to massage or cosmetic treatments. Did not feel the need to do so or to visit another hotel room so preferred to wait to be back in Berlin for a visit to my beloved Ahava. Another surprised I offered myself was the room: a family apartment, with kitchen and other facilities that I did not need. 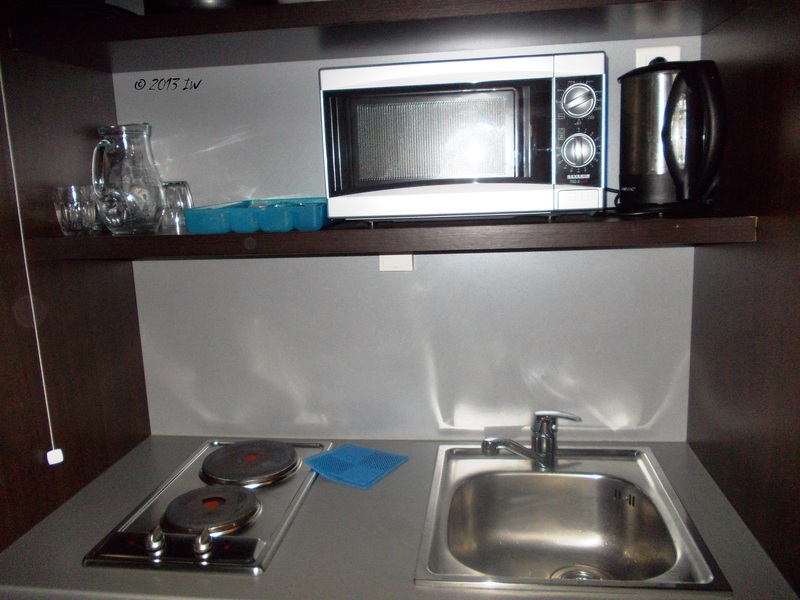 There were a lot of plastic and glass plates and pans and some glasses too, plus a clean sink and a microwave. In case that you want to do some special cooking, you don't have a proper table to do so, and thus the only choice is to heat some ready made food in the microwave. There it is a fridge - but not a minibar - as well, where to keep your goodies. As I am a full freelancer, I need to have a good corner to set up my computer and a proper Internet connection. If possible, a proper lightening too. I had them all, plus a TV - never used it - and landline phone. The Internet connection is made via the phone cable, not always speedy, but offered me the right conditions to finish some work. 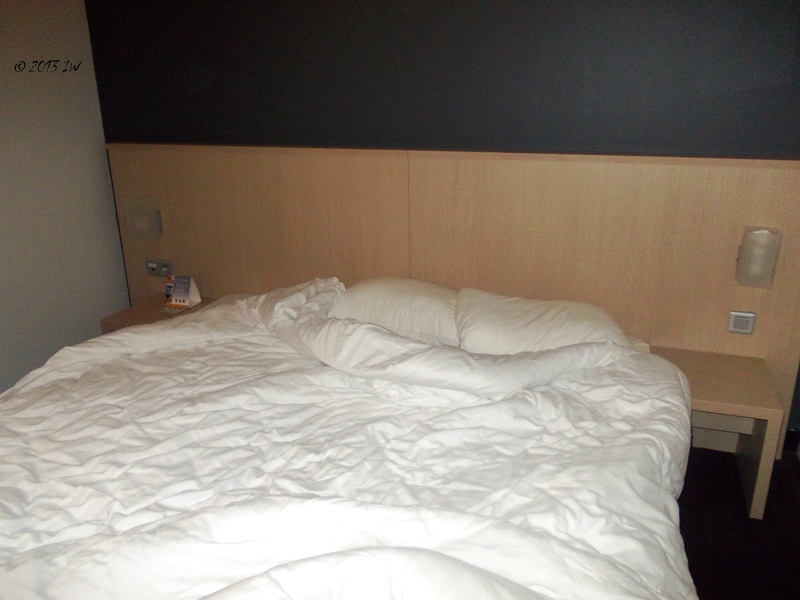 The bed is big and the sheets were white clean. There were same art on the walls, a bit sad looking abstract wooden composition, that I will not like to have it at home. The view out of the window was not happier either, with a parking in the middle of some construction site. I decided to better focus on my work and have everything done in time for enjoying the time outside the hotel as much as possible. Those interested in the ecological hotels will love maybe to stay here. In line with Nantes' local policies - the city is the EU Green European Capital this year - the visitors are advised to separate the garbage - but there are no separate containers for plastic or paper though, trusting maybe our clear ecological mind - and to take care of limiting as much as possible the energy consumption. The hotel is no(anti) smoking. 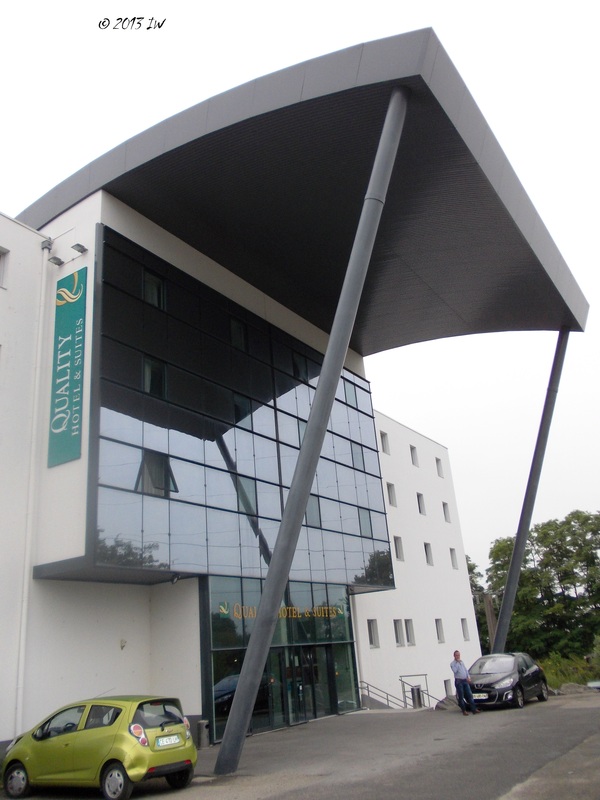 All said, I will recommend the hotel only for families on the road, eventually travelling by car and looking for an affordable accommodation. Otherwise, I bet there are many interesting options, even with 2 stars, in historical buildings for instance, that may offer something much better.